In yesterday’s blog, we revisited the topic of brand image and listed a number of ways that business owners can improve theirs. It should come as no surprise that being active on social media is a well-heralded tip. Using the internet to improve the image of your brand is practically a no-brainer type of strategy in today’s digitally-crazed world. 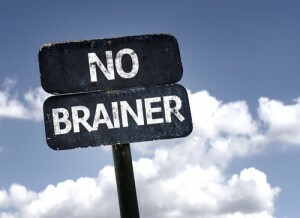 In today’s blog, we’ll add to our list of no-brainers that boost your brand’s image. 1. Update your website. The importance of having your website updated on a regular basis cannot be understated. When people visit your site on any given week and then decide to revisit it the next, it shouldn’t look exactly the same. There should be some sort of new content that communicates that your business is keeping busy and doing well. Stale, stagnant websites give impressions that nothing is happening with the companies they represent. 2. Make your customers laugh. We’re not just talking about providing excellent customer service. That’s expected. To make your brand stand out, you’ll need to employ interesting and every quirky ways to gain public interest. Why not post humorous videos to YouTube? It’s no secret that people watch videos online each and every day. The marketing company, Forgelight Creative suggests that the creation of funny videos becomes a new practice of yours. 3. Make your employees happy. If the people who represent your company in the public eye don’t appear to love their jobs, you give little to no reason for the buying public to think very highly of your brand. If you truly want your company to have a strong brand image, ensure that each and every member of your staff is a staunch supporter of your mission statement. Markowitz highlights the importance of addressing corporate culture. Of course, it’s also always a good idea to put your brand’s logo on a great promotional gift to hand out to your customers. To place your order for the promo gift of your choice, call Synergy Marketing at 1-877-748-9884 between 9am and 5pm EST or email us at info@gosynergygo.com! You can also sign up for our Insider E-Flyer Program HERE!